Ed Hall is an instrumental fingerstyle guitarist and banjo player. His performances are lively and humorous as well as instrumentally astounding. Ed is one of our most sought after instrumental wedding guitarist's. His professional wedding experience helps guide couples through the music they desire at their ceremony. His repertoire is vast and is always willing to learn and play new music if requested. Ed's music is also ideal for concerts, cafes, and special events such as fingerstyle guitar workshops. His approach to fingerstyle guitar playing has always been to try to arrange pieces for guitar that are not typically played on one guitar, difficult pieces, arranged as accurately as possible by ear. Instrumentals like The William Tell Overture, Hoedown from Rodeo by Copland, and the theme from Peter Gunn are now part of the classic arrangements in his repertoire. All of the sample instrumental guitar music is played on one guitar, there are no guitar overdubs. The ensemble selections are of course multi-instrumental. 1991 September, Ed won the coveted National Fingerpicking Guitar Championship at the Walnut Valley Festival in Winfield, Kansas. 2014 February, Ed received the Dr. Marie Ann Vos Music Leadership Award from the Board of Trustees for the McHenry County Music Center. 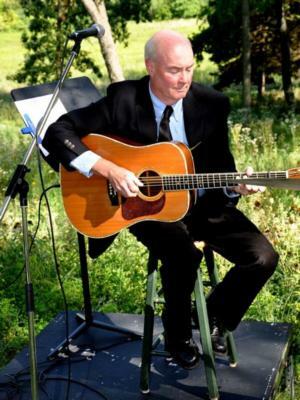 The annual presentation of the Vos Music Leadership Award is presented to Ed Hall for championship level fingerpicking guitar playing and teaching, a prolific performer throughout the Midwest, and producer of 200 shows at the Woodstock Opera House bringing nationally known guitarists and singers to McHenry County. For more than 40 years Ed Hall has been an exceptional promoter of musical arts in our community. The presentation was made at the Raue Center for the arts in Crystal Lake, IL in a special ceremony during the McHenry County Youth Orchestra winter Pops Concert on February 23, 2014. Ed expertise on the 5-string banjo is uniquely his own style. Fast and precise, Ed's style is one of a kind. His remarkable and inspiring arrangement of Soldier's Joy with the Star Spangled banner is a show stopper and a tribute to American service personnel across the globe. 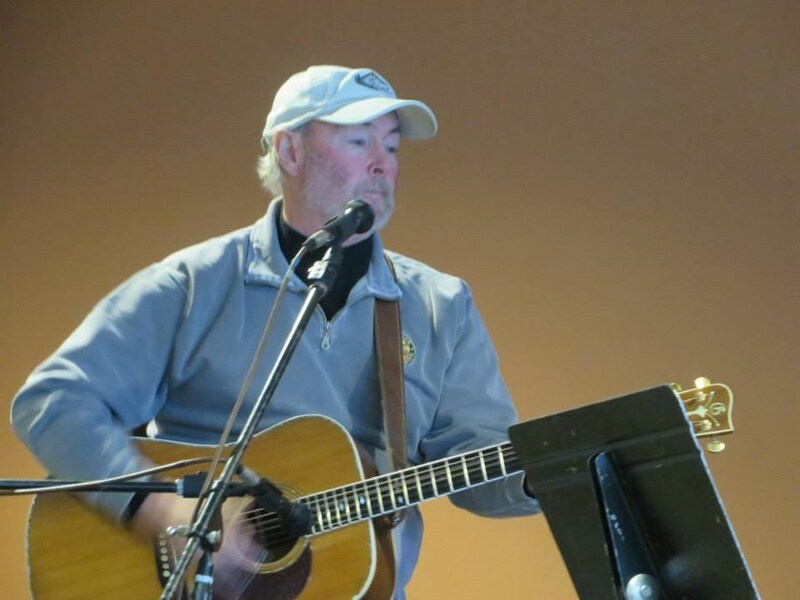 Ed also plays guitar and banjo and tours with the eclectic/acoustic quartet Trillium, specializing in Celtic, swing, ragtime, dixieland, country, and bluegrass music. Check out Trillium: trillium acoustic/eclectic band or trilliumtheband. Ed also has been performing around the country with Jeff Friedlander as the duo Friedlander and Hall for the past 40 years. Ed was excellent through the entire booking process for our wedding. He was quick to respond and quick to offer feedback. He showed up early to set up and acted kind and respectful the whole night. Ran through all the cues with us and played beautifully. Everyone for the rest of the night kept commenting on how well he played and I would definitely recommend him to anyone looking to book a guitarist for their wedding. Plus he plays the banjo...which is awesome. Ed was a pleasure to work with and very easy to contact. He played beautiful music for our ceremony and cocktail hour! He learned a song for our day that made it extra special. Thank you so much!! Ed was wonderful and came prepared to accommodate our ceremony location. Ed was fantastic for our wedding ceremony and cocktail hour. We received SOOO many compliments on his talent and would highly recommend him for your event! He was super easy to work with as well and accommodating. Thank you so much Ed! Ed is beyond talented! He played at my wedding ceremony and cocktail hour and it was beautiful! I can't tell you how many people commented on how great the music was. He also learned "god only knows" by the beach boys for us and his arrangement was absolutely perfect! Ed arrived at the event promptly, set up with little assistance, and quietly mesmerized our guests with his wonderful acoustic guitar music. We had numerous positive comments from even the most discriminating music fans and without a doubt, Ed was the perfect choice for our high-end donor event. Ed was great to work with prior to and during the event. He was punctual, polite, and very talented. It was a pleasure working with him and our attendees enjoyed his music. Ed was a delight to work with and everyone loved his music. Even though the outdoor wedding was quite windy and chilly, Ed warmed the atmosphere with superb, masterful, beautiful music. He was so calm, kind and accommodating agreeing to our special request that he play a tune of his choice on the Martin guitar that had belonged to and been played by the bride's deceased father. Guests were moved to tears. The bride also was so happy that he played a great selection of tunes throughout the whole reception line after the ceremony. We had expected that and it was a true gift. I hope we have another celebration someday soon so we can hire Ed to come play again. 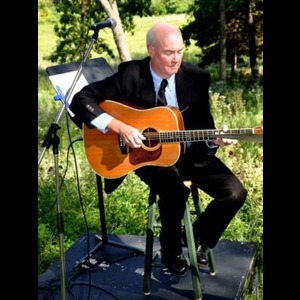 Please note Ed Hall, National Fingerstyle Guitar Champion will also travel to Alden, Capron, Walworth, Fontana, Sharon, Zenda, Hebron, Woodstock, Williams Bay, Poplar Grove, Wonder Lake, Darien, Delavan, Garden Prairie, Marengo, Caledonia, Lake Geneva, Union, Pell Lake, Ringwood, Belvidere, Clinton, McHenry, Richmond, Genoa City, Crystal Lake, Elkhorn, Huntley, Powers Lake, Springfield.